VegPage would like to wish all its readers a very happy 2013, with the Maya Prophecy of the end of the world unfulfilled it’s time to find some of the best Marijuana Seeds to grow in 2013. Flower Bomb Kush took first place in the overall Cannabis Cup in November 2012. Unfortunately this strain is still unavailable for purchase and little is known about when these Marijuana Seeds will become available. A tour of both the Green House Coffee Shops over the Christmas period made it clear that Flower Bomb Kush was both unavailable in bud or Marijuana Seeds form. 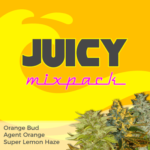 As soon as these much anticipated Marijuana Seeds are available we will run a post for them. Think Different are the latest Autoflowering Seeds from Dutch Passion, one of the oldest and respected of the Dutch Marijuana Seeds Banks. If you are looking for large, impressive yields in super-fast times, these latest generation Auto Seeds are guaranteed to fulfill your needs. Completely ready for harvest in 70 days from seeds, is around the average for Autoflowering Marijuana Seeds, however the yields from this Dutch Passion creation are some of the best recorded, with Dutch Passion claiming a possible 200 – 300 grams per plant, while an independant review in soil with just a single 600 watt sodium bulb, and no other equipment produced over 120 grams..
Start the new year with some of the best savings ever on Dinafem Marijuana Seeds. one of Spain’s best Marijuana Seed breeders, Dinafem have kindly offered to match any purchase of their Marijuana Seeds with a FREE packet of Blue Widow Feminized Marijuana Seeds. Blue Widow is an outstanding Blueberry – White Widow hybrid with a complex taste and nice high. A good plant for beginners and more advanced growers, ready to harvest in approximately 55 days. With a wide selection of Dinafem Marijuana Seeds to choose from, take advantage of this offer before stocks run out. 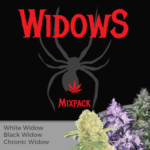 Remember, they will match your purchase, so whether you choose a Single Marijuana Seed, packets of 3, 5 or 10, or even bigger bulk orders, for every Single Marijuana Seed you purchase you will receive the same number of FREE Blue Widow Seeds. Free Royal Queen Seeds and Grinder. 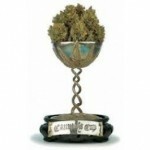 Start 2013 with a free Royal Queen Seeds grinder and Blue Mystic Marijuana Seeds. 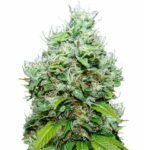 Offering some of the highest quality Medical Marijuana Seeds, Royal Queen Seeds have developed a high standing with the Medical Marijuana growers around the world. 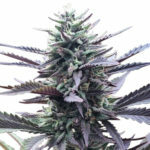 With a current collection of over 47 different Marijuana Seeds, varying from Regular, Feminized and Autoflowering, there is something for everyone within their collection. 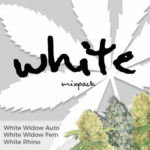 Take advantage of the current offer while stocks of the Blue Mystic Feminized Marijuana Seeds, and receive a free grinder, as well as FREE Marijuana Seeds with every order. One of the surprise best selling Marijuana Seeds for 2012 was Dinafem Seeds OG Kush. Traditionally the OG Kush strains are dominated by the Californian West Coast breeders such as DNA Genetics and Reserva Privada, so it came as a shock to have a Spanish team produce an OG Kush strain of such high quality. It is extremely potent, recording up to 24% THC and 0.23% CBD, in the analysis carried out in Californian laboratories. With a 75% Indica to Sativa mix, and genetics composed of Lemon Thai / Pakistani crossed with the famous ChemDawg, its one of the very best strains of OG Kush available. 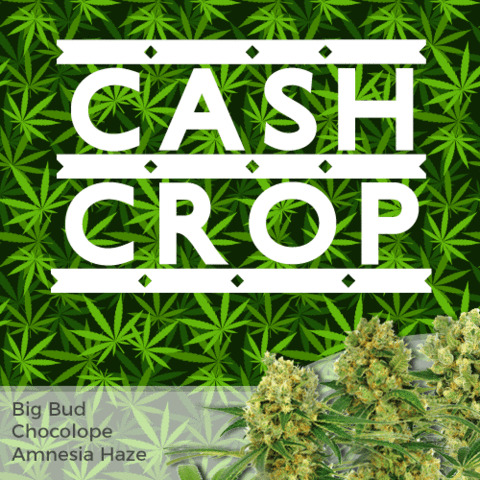 The famous OG Kush Seeds are now becoming more popular in Europe, and remain one of the America’s most popular strains, take advantage of the Blue Widow FREE Marijuana Seeds giveaway when you purchase your Dinafem OG Kush Seeds today.